SNAFU! : 16 Billion more to get all the capabilities (and weapons) promised for the F-35? 16 Billion more to get all the capabilities (and weapons) promised for the F-35? The Pentagon estimates it will cost nearly $16 billion to modernize the fleet of F-35 jets through 2024, a U.S. lawmaker said on Wednesday, citing information provided by the Pentagon on the stealth fighter jet program. Wednesday was the first time the $16 billion modernization estimate was made public. Modernization costs would be split between $10.8 billion for software development and $5.4 billion for deploying the updates and other procurement in support of the modernization efforts, Representative Niki Tsongas said at a hearing of a subcommittee of the House of Representatives Armed Services Committee, citing the information provided by the Pentagon. Vice Admiral Mathias Winter, the head of the F-35 Joint Program Office which administers the program, provided some detail on the modernization program. 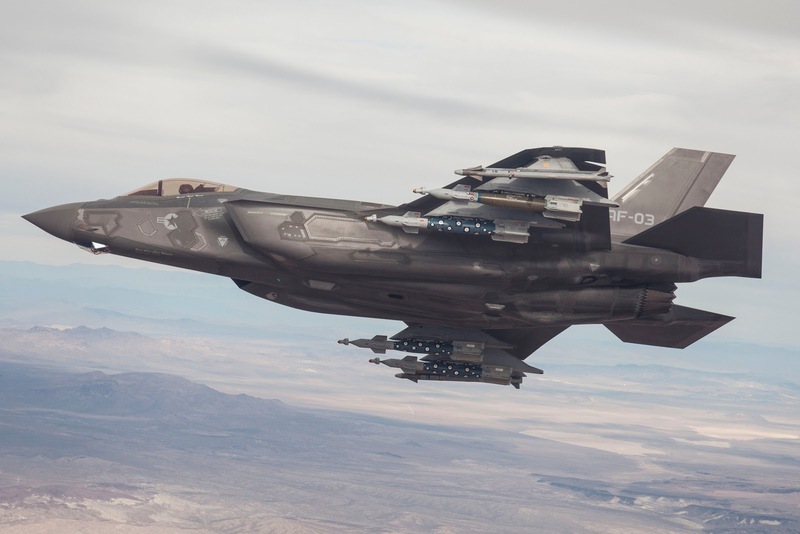 “Continuous enhancements and improvements will be made to increase capabilities that make the F-35 more lethal and survivable,” Winter told the panel. How are the Brits gonna pay for these upgrades? How are any of our allies gonna pay for these upgrades? How are we gonna pay for these upgrades? This is like buying a brand new truck and then having to pay for driver and passenger side windows. This makes the early IOC seem even more criminal than I thought. Every jet that is bought before the program is complete, meaning Block 4 jets or whatever they're calling it now, is not only stupid, fraudulent and a terrible waste of taxpayer money, but its also (at least in my mind) dangerous. Considering the budget issues how many jets won't receive the upgrades? How many of those jets will still be kept in service and asked to perform combat missions? This program is beyond a mess. It's a disgrace and historians will ravage EVERY GENERAL OFFICER involved in this mess. Classes will be taught--- from business, economics and ethics ---- and using the F-35 program as a WHAT NOT TO DO guide.